Sometimes it's hard to visualise how the "written" rules should be interpreted. 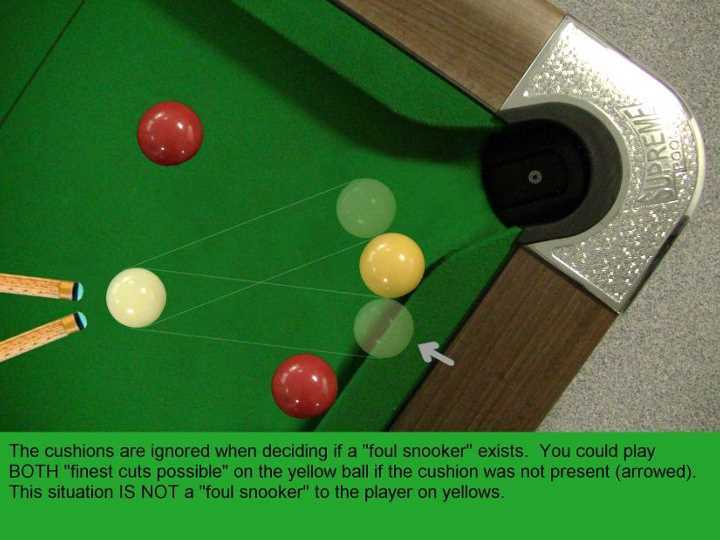 So here you will find some images, courtesy of Steve Camp of Shropshire, which explain how Snookers are defined within World rules. 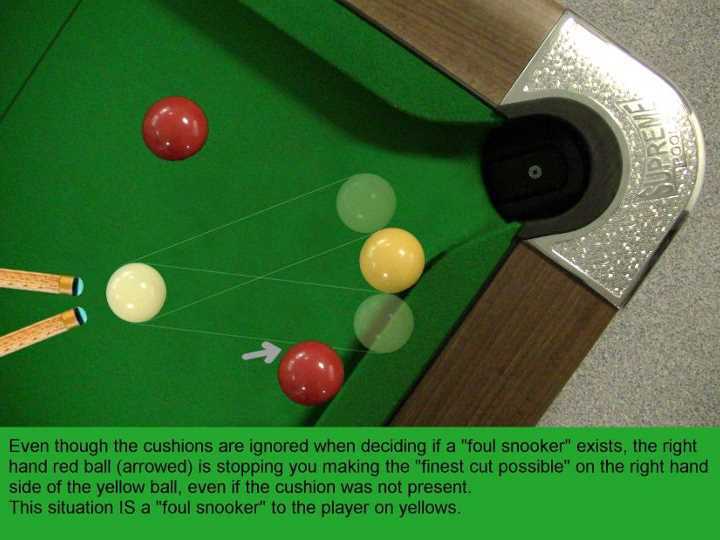 If your opponent has fouled and left you in a situation where you cannot play the finest cut possible on BOTH sides of at least one of your balls, by way of a straight line shot, then you are either "foul snookered" or "foul jaw snookered". NOTE: All examples show the fouled player's colour as yellow. 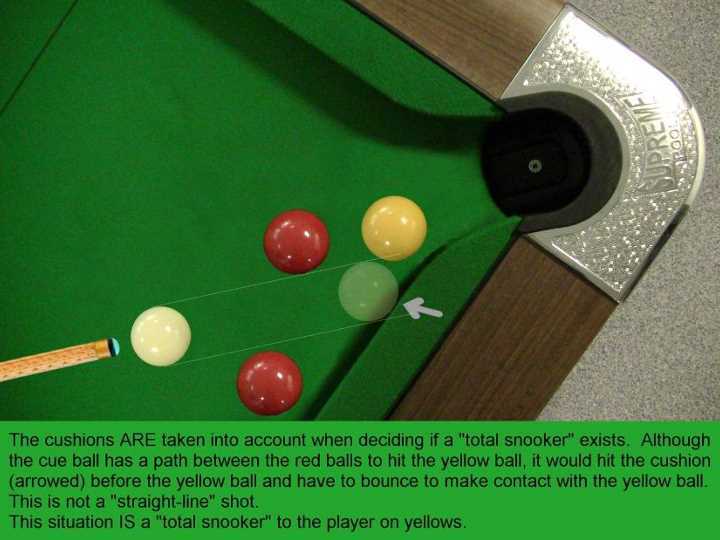 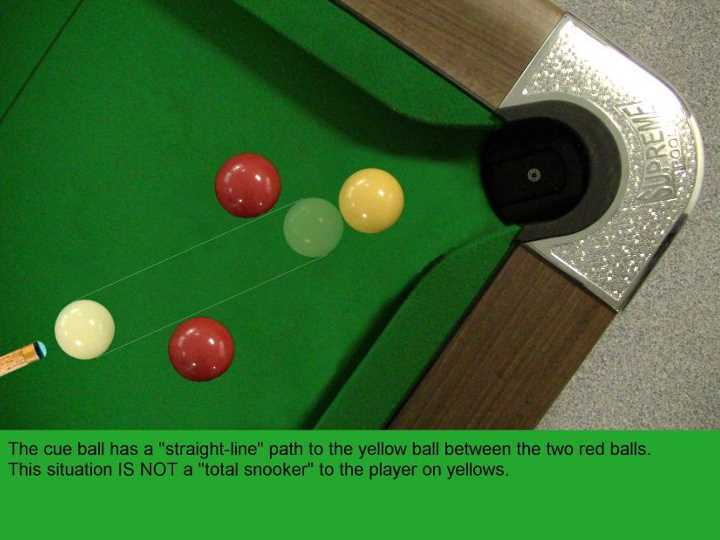 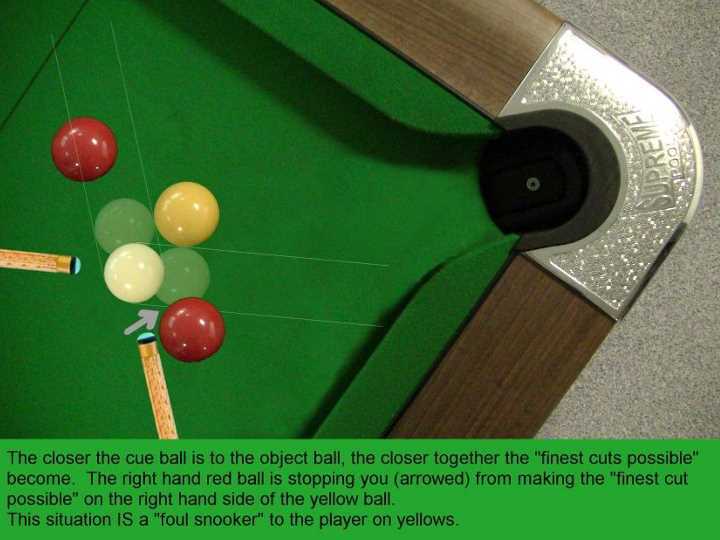 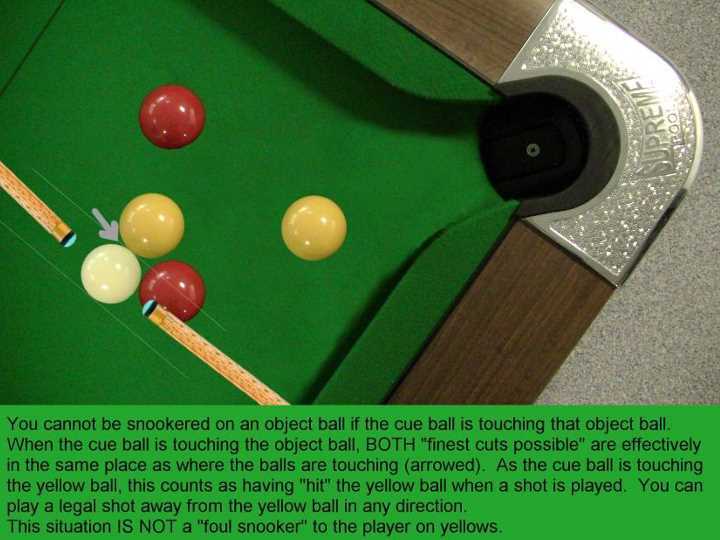 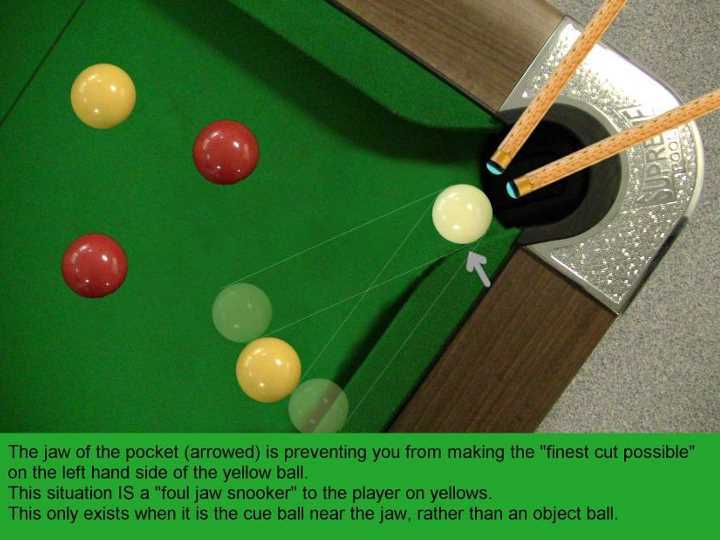 Prior to taking a shot that does not follow a foul, if you cannot hit any part of any ball "on" (including the black ball if you are on black), by way of a straight line shot, then you are in a "total snooker"
NOTE: All examples show the player's colour as yellow.